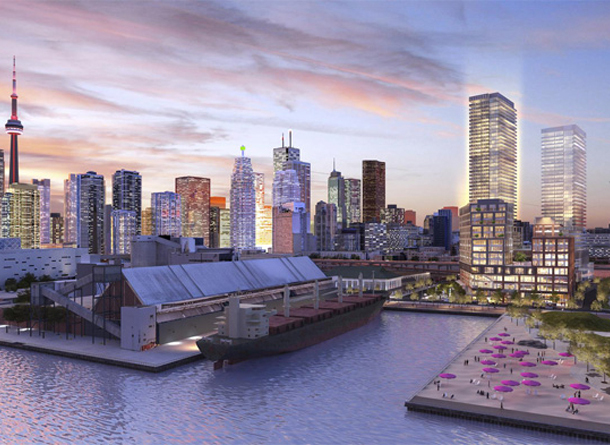 Despite the number of condo buildings along Toronto’s waterfront, there is always room for more and this article highlights the top 5. The closing and demolition of the Guverment nightclub made the news back in January and that has released the land that will become Daniels Waterfront: City of the Arts, a “master-planned, mixed-use arts inspired community.” The Lighthouse, a 45 storey tower will be the first to be built. At 90 Harbour Street, the squat building that used to house the Workmen’s Compensation Board has been torn down to make way for the Harbour Plaza Residences, already well under construction. When completed, there will be two towers, 65 and 69 storeys. Also changing the skyline will be the complex at 1 Yonge Street, which will be a mixed use community comprised of six towers including one residential tower at 96 storeys, which if approved will be the tallest condo tower in Canada, dwarfing Aura, which stands a mere 78 storeys.